In the hunt for extra-solar planets, astronomers and enthusiasts can be forgiven for being a bit optimistic. In the course of discovering thousands of rocky planets, gas giants, and other celestial bodies, is it too much to hope that we might someday find a genuine Earth-analog? Not just an “Earth-like” planet (which implies a rocky body of comparable size) but an actual Earth 2.0? This has certainly been one of the goals of exoplanet-hunters, who are searching nearby star systems for planets that are not only rocky, but orbit within their star’s habitable zone, show signs of an atmosphere and have water on their surfaces. But according to a new study by Alexey G. Butkevich – a astrophysicist from the Pulkovo Observatory in St. Petersburg, Russia – our attempts to discover Earth 2.0 could be hindered by Earth itself! Butkevich’s study, titled “Astrometric Exoplanet Detectability and the Earth Orbital Motion“, was recently published in the Monthly Notices of the Royal Astronomical Society. For the sake of his study, Dr. Butkevich examined how changes in the Earth’s own orbital position could make it more difficult to conduct measurements of a star’s motion around its system’s barycenter. Artist’s impression of how an Earth-like planet might look from space. Credit: ESO. This method of exoplanet detection, where the motion of a star around the star system’s center of mass (barycenter), is known as the Astrometic Method. Essentially, astronomers attempt to determine if the presence of gravitational fields around a star (i.e. planets) are causing the star to wobble back and forth. This is certainly true of the Solar System, where our Sun is pulled back and forth around a common center by the pull of all its planets. In the past, this technique has been used to identify binary stars with a high degree of precision. In recent decades, it has been considered as a viable method for exoplanet hunting. This is no easy task since the wobbles are rather difficult to detect at the distances involved. And until recently, the level of precision required to detect these shifts was at the very edge of instrument sensitivity. This is rapidly changing, thanks to improved instruments that allow for accuracy down to the microarcsecond. A good example of this is the ESA’s Gaia spacecraft, which was deployed in 2013 to catalog and measure the relative motions of billions of stars in our galaxy. Given that it can conduct measurements at 10 microarcseconds, it is believed that this mission could conduct astrometric measurements for the sake of finding exoplanets. But as Butkevich explained, there are other problems when it comes to this method. “The standard astrometric model is based on the assumption that stars move uniformly relative to the solar system barycentre,” he states. But as he goes on to explain, when examining the effects of Earth’s orbital motion on astrometric detection, there is a correlation between the Earth’s orbit and the position of a star relative to its system barycenter. This would be especially true of systems where the orbital period of a planet was one year, and which had an orbit that placed it close to the Sun’s ecliptic – i.e. like Earth’s own orbit! So basically, astronomers would not be able to detect Earth 2.0 using astrometric measurements, because Earth’s own orbit and the Sun’s own wobble would make detection close to impossible. Luckily, exoplanet-hunters have a myriad of other methods too choose from, including direct and indirect measurements. And when it comes to spotting planets around neighboring stars, two of the most effective involve measuring Doppler shifts in stars (aka. the Radial Velocity Method) and dips in a star’s brightness (aka. the Transit Method). Nevertheless, these methods suffer from their own share of drawbacks, and knowing their limitations is the first step in refining them. In that respect, Dr. Butkevich’s study has echoes of heliocentrism and relativity, where we are reminded that our own reference point is not fixed in space, and can influence our observations. The hunt for exoplanets is also expected to benefit greatly from deployment of next-generation instruments like the James Webb Space Telescope, the Transiting Exoplanet Survey Satellite (TESS), and others. As neighboring planets, Earth and Mars have a few things in common. Both are terrestrial in nature (i.e. rocky), both have tilted axes, and both orbit the Sun within its circumstellar habitable zone. And during the course of their orbital periods (i.e. a year), both planets experience variations in temperature and changes in their seasonal weather patterns. However, owing to their different orbital periods, a year on Mars is significantly longer than a year on Earth – almost twice as long, in fact. And because their orbits are different, the distance between our two planets varies considerably. Basically, every two years Earth and Mars will go from being “at conjunction” (where they are farther from each other) to being “at opposition” (where they are closer to each other). Earth orbits the Sun at an average distance (semi-major axis) of 149,598,023 km (92,955,902 mi; or 1 AU), ranging from 147,095,000 km (91,401,000 mi) at perihelion to 152,100,000 km (94,500,000 mi) at aphelion. At this distance, and with an orbital velocity of 29.78 km/s (18.5 mi/s) the time it take for the planet to complete a single orbit of the Sun (i.e. orbital period) is equal to about 365.25 days. Mars, meanwhile, orbits the Sun at an average distance of 227,939,200 km (141,634,850 mi; or 1.523679 AU), ranging from 206,700,000 km (128,437,425 mi) at perihelion to 249,200,000 km (154,845,700 mi) at aphelion. Given this difference in distance, Mars orbits the Sun at a slower speed (24.077 km/s; 14.96 mi/s) and takes about 687 Earth days (or 668.59 Mars sols) to complete a single orbit. In other words, a Martian year is almost 700 days long, which works out to being 1.88 times as long as a year on Earth. This means that every time Mars completes a single orbit around the Sun, the Earth has gone around almost twice. During the moments when they are on opposite sides of the Sun, this is known as a “conjunction”. When they are on the same side of the Sun, they are at “opposition”. By definition, a “Mars opposition” occurs when planet Earth passes in between the Sun and planet Mars. The term refers to the fact that Mars and the Sun appear on opposite sides of the sky. Because of their orbits, Mars oppositions happens about every 2 years and 2 months – 779.94 Earth days to be precise. From our perspective here on Earth, Mars appears to be rising in the east just as the Sun sets in the west. After staying up in the sky for the entire night, Mars then sets in the west just as the Sun begins to rise in the east. During an opposition, Mars becomes one of the brightest objects in the night sky, and is easy to see with the naked eye. Through small telescopes, it will appear as a large and bright object. Through larger telescopes, Mars’ surface features will even become apparent, which would include its polar ice caps. An opposition can also occur anywhere along Mars’ orbit. However, opposition does not necessary mean that the two planets are at their closest overall. In truth, it just means that they are are at their closest point to each other within their current orbital period. If Earth and Mars’ orbits were perfectly circular, they would be closest to each other whenever they were at opposition. Instead, their orbits are elliptical, and Mars’ orbit is more elliptical than Earth’s – which means the difference between their respective perihelion and aphelion is greater. Gravitational tugging from other planets constantly changes the shape of our orbits too – with Jupiter pulling on Mars and Venus and Mercury affecting Earth. Lastly, Earth and Mars do not orbit the Sun on the exact same plane – i.e. their orbits are slightly tilted relative to each other. Because of this, Mars and Earth become closest to each other only over the long-term. For instance, every 15 or 17 years, an opposition will occur within a few weeks of Mars’ perihelion. When it happens while the Mars is closest to the sun (called “perihelic opposition”), Mars and Earth get particularly close. And yet, the closest approaches between the two planets only take place over the course of centuries, and some are always closer than others. To make matters even more confusing, over the past few centuries, Mars’ orbit has been getting more and more elongated, carrying the planet even nearer to the Sun at perihelion and even farther away at aphelion. So future perihelic oppositions will bring Earth and Mars even closer. On August 28th, 2003, astronomers estimated that Earth and Mars were just 55,758,118 km (34,646,488 mi; 0.37272 AU) apart. This was the closest the two planets had come to each other in almost 60,000 years. This record will stand until August 28th, 2287, at which point the planets will be an estimated 55,688,405 km (34,603,170.6 mi; 0.372254 AU) from each other. Want to organize your schedule for the next time Mars will be close to Earth? Here are some upcoming dates, covering the next few decades. Plan accordingly! And in case your interested, Mars will be making close approaches on two occasions this century. The first will take place on August 14th, 2050, when Mars and Earth will be 55.957 million km (34.77 million mi; or 0.374051 AU) apart; and on September 1st, 2082, when they will be 55,883,780 km (34,724,571 mi; 0.373564 AU) apart. There’s a reason missions to Mars depart from Earth every two years. Seeking to take advantage of shorter travel times, rovers, orbiters and landers are launched to coincide with Mars being at opposition. And when it comes time to send crewed mission to Mars (or even settlers) the same timing will apply! We have written many interesting articles about Mars here at Universe Today. Here’s How Far is Mars from Earth?, How Long Does it Take to Get to Mars?, How Long is a Year on Mars?, How Far is Mars from the Sun?, and How Long Does it Take Mars to Orbit the Sun? For more information, here’s a comprehensive schedule of upcoming Mars oppositions. Astronomy Cast also has some wonderful episodes on the Red Planet. Here’s Episode 52: Mars, and Episode 91: The Search for Water on Mars. The Orbit of Venus. How Long is a Year on Venus? Venus and Earth have many similarities. Both are terrestrial planets, meaning that they are composed predominately of metal and silicate rock, which is differentiated between a metal core and a silicate mantle and crust. Both also orbit the Sun within its habitable zone (aka. “Goldilocks Zone“). Hence why Venus and Earth are often called “sister planets”. However, Venus is also starkly different from Earth in a number of ways. It’s atmosphere, which is composed primarily of carbon dioxide and small amounts of nitrogen, is 92 times as dense as Earth’s. It is also the hottest planet in the Solar System, with temperatures hot enough to melt lead! And on top of all that, a year on Venus is much different than a year on Earth. Venus orbits the Sun at an average distance of about 0.72 AU (108,000,000 km/67,000,000 mi) with almost no eccentricity. In fact, with its farthest orbit (aphelion) of 0.728 AU (108,939,000 km) and closest orbit (perihelion) of 0.718 AU (107,477,000 km), it has the most circular orbit of any planet in the Solar System. The planet’s orbital period is 224.65 days, which means that a year on Venus is 61.5% as long as a year on Earth. Unlike most other planets in the Solar System, which rotate on their axes in an counter-clockwise direction, Venus rotates clockwise (called “retrograde” rotation). It also rotates very slowly, taking 243 Earth days to complete a single rotation. While a year on Venus lasts the equivalent of 224.65 Earth days, it only lasts the equivalent 1.92 days on Venus. This is due to the fact that Venus rotates quick slowly and in the opposite direction of its orbit. Because of this, a Solar Day – the time it takes for the Sun to rise, set, and return to the same place in the sky – takes 116.75 Earth days. This means, in effect, that a single day on Venus lasts over half a year. In other words, in the space of just over a single Venusian year, the Sun will appear to have circled the heavens twice. In addition, to someone standing on the planet’s surface, the Sun would appear to rise in the west and set in the east. Because of its dense atmosphere and its highly circular rotation, Venus experiences very little in the way of temperature variations during the course of a year. Similarly, its axial tilt of 2.64° (compared to Earth’s 23.44°) is the second-lowest in the Solar System, behind Mercury’s extremely low tilt of 0.03. This means that there is virtually no variation in Venus’ surface temperature between day and night, or the equator and the poles. All year long, the mean surface temperature of Venus is a scorching 735 K (462 °C/863.6 °F), with the only variations occurring as a result of elevation. Yes, Venus is a truly hellish place. And unfortunately, that’s a year-round phenomena! The days are extremely hot, the nights extremely hot, and a day lasts over half as long as a year. So if you’re planning on vacationing somewhere, might we recommend somewhere a little less sunny and balmy? We’ve written several articles about years on other planets here at Universe Today. Here’s How Long is a Year on the Other Planets?, Which Planet has the Longest Day?, How Long is a Year on Mercury?, How Long is a Year on Earth?, How Long is a Year on Mars?, How Long is a Year on Jupiter?, How Long is a Year on Saturn?, How Long is a Year on Uranus?, How Long is a Year on Neptune?, How Long is a Year on Pluto? If you’d like more info on Venus, check out Hubblesite’s News Releases about Venus, and here’s a link to NASA’s Solar System Exploration Guide on Venus. We’ve also recorded an episode of Astronomy Cast all about Venus. Listen here, Episode 50: Venus. The Orbit of Mercury. How Long is a Year on Mercury? Mercury is a planet of extremes. As the closest planet to our Sun, it experiences extremely high surface temperatures. But since it has virtually no atmosphere to speak of, and rotates very slowly on its axis, it gravitates between extremes of hot and cold. It also means that it’s Sun-facing side experiences prolonged periods of day while its dark side experiences extremely long periods of night. It’s proximity to the Sun also means that it orbits the planet quite rapidly. To break it down, Mercury takes roughly 88 Earth days to complete a single orbit around the Sun. Between this rapid orbital period and its slow rotational period, a single year on Mercury is actually shorter than a single day! Mercury orbits the Sun at a distance of 57,909,050 km (35,983,015 mi), which works out to o.387 AU – or slightly more than one-third the distance between the Sun and the Earth. It’s orbit is also highly eccentric, ranging from a distance of 46 million km/28.58 million mi at its closest (perihelion) to 70 million km/43.49 million mi at its most distant (aphelion). Illustration of the orbit of Kepler-432b (inner, red) in comparison to the orbit of Mercury around the Sun (outer, orange). Credit: Dr. Sabine Reffert. Like all the planets, Mercury moves fastest when it is at its closest point to the Sun, and slowest when it is at its farthest. However, it’s proximity to the Sun means that its average orbital velocity is a speedy 47.362 kilometers a second or 29.429 miles per second – approximately 170,500 km/h; 105,945 mph. At this rate, it takes Mercury 87.969 days, or the equivalent of 0.24 Earth years, to complete a single orbit of the Sun. Thus, it can be said that a year on Mercury lasts almost as long as 3 months here on Earth. Astronomers used to think that Mercury was tidally locked to the Sun, where its rotational period matched its orbital period. This would mean that the same side it always pointed towards the Sun, thus ensuring that one side was perennially sunny (and extremely hot) while the other experienced constant night (and freezing cold). However, improved observations and studies of the planet have led scientists to conclude that in fact, the planet has a slow rotational period of 58.646 days. Compared to its orbital period of 88 days, this means that Mercury has a spin-orbit resonance of 3:2, which means that the planet makes three completes rotations on its axis for every two orbits it makes around the Sun. Another consequences of its spin-orbit resonance is that there is a significance difference between the time it takes the planet to rotate once on its axis (a sidereal day) and the time it takes for the Sun to reappear in the same place in the sky (a solar day). On Mercury, it takes a 176 days for the Sun to rise, set, and return to the same place in the sky. This means, effectively, that a single day on Mercury lasts as long as two years! Yes, Mercury is a pretty extreme place. Not only do temperatures on its surface range from molten hot to freezing cold, but a single day lasts as long as six months here on Earth. Add to that the fact that it has virtually no atmosphere, and is exposed to extreme amounts of radiation, and you can begin to understand why life cannot exist there. We have written many interesting articles about Mercury here at Universe Today. Here’s How Long is a Day on Mercury?, How Long is a Year on the Other Planets?, Which Planet has the Longest Day?, How Long is a Year on Venus?, How Long is a Year on Earth?, How Long is a Year on Mars?, How Long is a Year on Jupiter?, How Long is a Year on Saturn?, How Long is a Year on Uranus?, How Long is a Year on Neptune?, and How Long is a Year on Pluto? If you’d like more info on Mercury, check out NASA’s Solar System Exploration Guide, and here’s a link to NASA’s MESSENGER Misson Page. Since time immemorial, people have been staring up at the Moon with awe and wonder. For as long as there has been life on this planet, the Moon has been orbiting it. And as time went on, scholars and astronomers began to observe it regularly and calculate its orbit. In so doing, they learned some rather interesting things about its behavior. For example, the Moon has an orbital period that is the same as its rotational period. In essence, it is tidally locked to the Earth, which means that it always presents the same face to us as it orbits around our planet. And during the course of its orbit, it also appears larger and smaller in the sky, which is due to the fact it is sometimes closer than at other times. For starters, the Moon follows an elliptical path around the Earth – with an average eccentricity of 0.0549 – which means that its orbit is not perfectly circular. Its average orbital distance is 384,748 km, which ranges from 364,397 km at its closest, to 406,731 km at its most distant. This non-circular orbit causes variations in the Moon’s angular speed and apparent size as it moves towards and away from an observer on Earth. When it’s full and at its closest point to Earth (perigee), the Moon can look over 10% bigger, and 30% brighter than when it’s at a more distant point in its orbit (apogee). The mean inclination of the Moon’s orbit to the ecliptic plane (i.e. the apparent path of the Sun through the sky) is 5.145°. Because of this inclination, the moon is above the horizon at the North and South Pole for almost two weeks every month, even though the Sun is below the horizon for six months out of the year. The Moon’s sidereal orbital period and rotational period are the same – 27.3 days. This phenomena, known as synchronous rotation, is what allows for the same hemisphere to be facing Earth all the time. Hence why the far side is colloquially referred to as the “Dark Side”, but this name is misleading. As the Moon orbits Earth, different parts are in sunlight or darkness at different times and neither side is permanently dark or illuminated. Because Earth is moving as well – rotating on its axis as it orbits the Sun – the Moon appears to orbit us every 29.53 days. This is known as its synodic period, which is the amount of time it takes for the Moon to reappear in the same place in the sky. During a synodic period, the Moon will go through changes in its appearance, which are known as “phases“. These changes in appearance are due to the Moon receiving more or less illumination (from our perspective). A full cycle of these phases is known as a Lunar Cycle, which comes down to the Moon’s orbit around the Earth, and our mutual orbit around the Sun. When the Sun, the Moon and Earth are perfectly lined up, the angle between the Sun and the Moon is 0-degrees. At this point, the side of the Moon facing the Sun is fully illuminated, and the side facing the Earth is enshrouded in darkness. We call this a New Moon. After this, the phase of the Moon changes, because the angle between the Moon and the Sun is increasing from our perspective. A week after a New Moon, and the Moon and Sun are separated by 90-degrees, which effects what we will see. And then, when the Moon and Sun are on opposite sides of the Earth, they’re at 180-degrees – which corresponds to a Full Moon. The period in which a Moon will go from a New Moon to a Full Moon and back again is also known as “Lunar Month”. One of these lasts 28 days, and encompasses what are known as “waxing” and “waning” Moons. During the former period, the Moon brightens and its angle relative to the Sun and Earth increases. When the Moon is in between the Earth and the Sun, the side of the Moon facing away from the Earth is fully illuminated, and the side we can see is shrouded in darkness. As the Moon orbits the Earth, the angle between the Moon and the Sun increases. At this point, the angle between the Moon and Sun is 0 degrees, which gradually increases over the next two weeks. This is what astronomers call a waxing moon. After the first week, the angle between the Moon and the Sun is 90-degrees and continues to increase to 180-degrees, when the Sun and Moon are on opposite sides of the Earth. When the Moon starts to decrease its angle again, going from 180-degrees back down to 0-degrees, astronomers say that it’s a waning moon. In other words, when the Moon is waning, it will have less and less illumination every night until it’s a New Moon. When the Moon is no longer full, but it hasn’t reached a quarter moon – i.e. when it’s half illuminated from our perspective – we say that it’s a Waning Gibbous Moon. This is the exact reverse of a Waxing Gibbous Moon, when the Moon is increasing in brightness from a New Moon to a Full Moon. This is followed by a Third Quarter (or last quarter) Moon. During this period, 50% of the Moon’s disc will be illuminated (left side in the northern hemisphere, and the right in the southern), which is the opposite of how it would appear during a First Quarter. These phases are often referred to as a “Half Moon”, since half the disc is illuminated at the time. Finally, a Waning Crescent is when the Moon appears as a sliver in the night sky, where between 49–1% of one side is illuminated after a Full Moon (again, left in the northern hemisphere, right in the southern). This is the opposite of a Waxing Crescent, when 1-49% of the other wide is illuminated before it reaches a Full Moon. Currently, the Moon’s is slowly drifting away from the Earth, at a rate of about 1 to 2 cm per year. This is directly related to the fact that here on Earth, the day’s are getting longer – by a rate of 1/500th of a second every century. In fact, astronomers have estimated that roughly 620 million years ago, a day was only 21 hours long, and the Moon was between 6,200 – 12,400 km closer. Now, the days are 24 hours long and getting longer, and the Moon is already at a average distance of 384,400 km. Eventually, the Earth and the Moon will be tidally locked to each other, so the same side of the Earth will always face the Moon, just like the same side of the Moon always presents the same face to the Earth. But this won’t happen for billions of years from now. For as long as human beings have been staring up at the night sky, the Moon has been a part of our world. And over the course of the roughly 4.5 billion years that it has been our only natural satellite, the relationship between it and our planet has changed. As time goes on, it will continue to change; but to us, it will still be the Moon. We’ve written many articles about the Moon for Universe Today. Here’s Interesting Facts About the Moon, What is a Moon?, Is the Moon a Planet?, What is the Diameter of the Moon?, What is the Distance to the Moon?, and Does the Moon Orbit the Sun?. If you’d like more info on the Moon, check out NASA’s Solar System Exploration Guide on the Moon, and here’s a link to NASA’s Lunar and Planetary Science page. We’ve also recorded an episode of Astronomy Cast all about the Moon. Listen here, Episode 113: The Moon, Part 1. Venus is often refereed to as “Earth’s sister planet”, thanks to the number of things it has in common with our planet. As a terrestrial planet, it is similarly composed of silicate rock and metals – which are differentiated between a metal core and a silicate crust and mantle. It also orbits within our Sun’s habitable zone, and had a similarly violent volcanic past. But of course, there are also some major differences between our two planets. For one, Venus has an atmosphere that is incredibly dense (92 times that of Earth, in fact) and reaches temperatures that are hot enough to melt lead. In addition, the planet’s rotation is immensely slow by comparison, taking 243.025 days to complete a single rotation, and rotating backwards relative to Earth. When discussing Venus’ rotation, it is important to note certain distinctions. Rotation is the time it takes for a planet to spin once on its axis. This is different from a planet’s revolution, which is the time it takes for a planet to orbit around another object (i.e. the Sun). So while it takes the Earth one day (24 hours) to rotate once on its axis, it takes one year (365.256 days) to revolve once around the Sun. In Venus’ case, things work a little differently. For starters, it orbits the Sun at an average distance of about 0.72 AU (108,000,000 km; 67,000,000 mi) with almost no eccentricity. In fact, with its farthest orbit (aphelion) of 0.728 AU (108,939,000 km) and closest orbit (perihelion) of 0.718 AU (107,477,000 km), it has the most circular orbit of any planet in the Solar System. The planet completes a revolution around the Sun every 224.65 Earth days, which means that a year on Venus last about 61.5% as long as a year on Earth. Evey 584 days, Venus completes an interior conjunction, where it lies between Earth and the Sun. It is at this point that Venus makes the closest approach to Earth of any planet, at an average distance of 41 million km. Unlike most other planets in the Solar System, which rotate on their axes in an counter-clockwise direction, Venus rotates clockwise (called “retrograde” rotation). It also rotates very slowly, taking 243.025 Earth days to complete a single rotation. This is not only the slowest rotation period of any planet, it also means that a single day on Venus lasts longer than a Venusian year. And, as noted earlier, Venus’ rotation is backwards, relative to Earth and the other bodies in the Solar System. Technically, this means that its rotational period is -243,025 days. It also means that if you could view the Solar System from the position above its celestial north pole, all of the planets (except for Uranus, which rotates on its side!) would appear to be rotating clockwise. Another important thing to consider is the difference between a sidereal day and a solar day. A sidereal day corresponds to the amount of time it takes for a planet to rotate once on its axis, which in Venus’ case takes 243.025 Earth days. A solar day, by contrast, refers to the amount of time it takes for the Sun to reappear at the same point in the sky (i.e. between one sunrise/sunset and the next). A Venusian (aka. Cytherean) Solar Day is the equivalent to 116.75 days on Earth, which means that it takes almost 117 days for the sun to rise, set, and return to the same place in the sky. Doing the math, we then see that a single year on Venus (224.65 Earth days) works out to just 1.92 Venusian (solar) days. Not exactly the basis for a good calendar system, is it? Yes, when it comes to the planet Venus, things work quite differently than they do here on Earth. Not only does a day last over half a year on our “Sister Planet”, but the Sun rises and sets on the opposite horizons, and travels across the sky in the opposite direction. The reason for this, according to astronomers, is that billions of years ago (early in the planet’s history) Venus was impacted by another large planet. The combined momentum between the two objects averaged out to the current rotational speed and direction, causing Venus to spin very slowly in its current retrograde motion. Someday, if human beings colonize there (perhaps in floating cities) they will have to learn to get used to a day that lasts over 2800 Earth hours, not to mention sunrises and sunsets happening on the wrong horizon! We have written many interesting articles about Venus here at Universe Today. Here’s Interesting Facts About Venus, How Long is a Day on Venus?, How Long is a Year on Venus?, What is the Average Surface Temperature on Venus?, New Map Hints at Venus’ Wet, Volcanic Past and Venus Compared to Earth. The Orbit of Mars. How Long is a Year on Mars? Mars and Earth have quite a few things in common. Both are terrestrial planets, both are located within the Sun’s habitable zone, both have polar ice caps, similarly tilted axes, and similar variations in temperature. And according to some of the latest scientific data obtained by rovers and atmospheric probes, it is now known that Mars once had a dense atmosphere and was covered with warm, flowing water. But when it comes to things like the length of a year, and the length of seasons, Mars and Earth are quite different. Compared to Earth, a year on Mars lasts almost twice as long – 686.98 Earth days. This is due to the fact that Mars is significantly farther from the Sun and its orbital period (the time it takes to orbit the Sun) is significantly greater than that of Earth’s. Mars average distance (semi-major axis) from the Sun is 227,939,200 km (141,634,852.46 mi) which is roughly one and half times the distance between the Earth and the Sun (1.52 AU). Compared to Earth, its orbit is also rather eccentric (0.0934 vs. 0.0167), ranging from 206.7 million km (128,437,425.435 mi; 1.3814 AU) at perihelion to 249.2 million km (154,845,701 mi; 1.666 AU) at aphelion. At this distance, and with an orbital speed of 24.077 km/s, Mars takes 686.971 Earth days, the equivalent of 1.88 Earth years, to complete a orbit around the Sun. This eccentricity is one of the most pronounced in the Solar System, with only Mercury having a greater one (0.205). However, this wasn’t always the case. Roughly 1.35 million years ago, Mars had an eccentricity of just 0.002, making its orbit nearly circular. It reached a minimum eccentricity of 0.079 some 19,000 years ago, and will peak at about 0.105 in about 24,000 years from now. But for the last 35,000 years, the orbit of Mars has been getting slightly more eccentric because of the gravitational effects of the other planets. The closest distance between Earth and Mars will continue to mildly decrease for the next 25,000 years. And in about 1,000,000 years from now, its eccentricity will once again be close to what it is now – with an estimated eccentricity of 0.01. Whereas a year on Mars is significantly longer than a year on Earth, the difference between an day on Earth and a Martian day (aka. “Sol”) is not significant. For starters, Mars takes 24 hours 37 minutes and 22 seconds to complete a single rotation on its axis (aka. a sidereal day), where Earth takes just slightly less (23 hours, 56 minutes and 4.1 seconds). On the other hand, it takes 24 hours, 39 minutes, and 35 seconds for the Sun to appear in the same spot in the sky above Mars (aka. a solar day), compared to the 24 hour solar day we experience here on Earth. This means that, based on the length of a Martian day, a Martian year works out to 668.5991 Sols. Mars also has a seasonal cycle that is similar to that of Earth’s. This is due in part to the fact that Mars also has a tilted axis, which is inclined 25.19° to its orbital plane (compared to Earth’s axial tilt of approx. 23.44°). It’s also due to Mars orbital eccentricity, which means it will periodically receive less in the way of the Sun’s radiance during at one time of the year than another. This change in distance causes significant variations in temperature. While the planet’s average temperature is -46 °C (51 °F), this ranges from a low of -143 °C (-225.4 °F) during the winter at the poles to a high of 35 °C (95 °F) during summer and midday at the equator. This works out to a variation in average surface temperature that is quite similar to Earth’s – a difference of 178 °C (320.4 °F) versus 145.9 °C (262.5 °F). This high in temperatures is also what allows for liquid water to still flow (albeit intermittently) on the surface of Mars. In addition, Mars’ eccentricity means that it travels more slowly in its orbit when it is further from the Sun, and more quickly when it is closer (as stated in Kepler’s Three Laws of Planetary Motion). Mars’ aphelion coincides with Spring in its northern hemisphere, which makes it the longest season on the planet – lasting roughly 7 Earth months. Summer is second longest, lasting six months, while Fall and Winter last 5.3 and just over 4 months, respectively. In the south, the length of the seasons is only slightly different. Mars is near perihelion when it is summer in the southern hemisphere and winter in the north, and near aphelion when it is winter in the southern hemisphere and summer in the north. As a result, the seasons in the southern hemisphere are more extreme and the seasons in the northern are milder. The summer temperatures in the south can be up to 30 K (30 °C; 54 °F) warmer than the equivalent summer temperatures in the north. These seasonal variations allow Mars to experience some extremes in weather. Most notably, Mars has the largest dust storms in the Solar System. These can vary from a storm over a small area to gigantic storms (thousands of km in diameter) that cover the entire planet and obscure the surface from view. They tend to occur when Mars is closest to the Sun, and have been shown to increase the global temperature. The first mission to notice this was the Mariner 9 orbiter, which was the first spacecraft to orbit Mars in 1971, it sent pictures back to Earth of a world consumed in haze. The entire planet was covered by a dust storm so massive that only Olympus Mons, the giant Martian volcano that measures 24 km high, could be seen above the clouds. This storm lasted for a full month, and delayed Mariner 9‘s attempts to photograph the planet in detail. And then on June 9th, 2001, the Hubble Space Telescope spotted a dust storm in the Hellas Basin on Mars. By July, the storm had died down, but then grew again to become the largest storm in 25 years. So big was the storm that amateur astronomers using small telescopes were able to see it from Earth. And the cloud raised the temperature of the frigid Martian atmosphere by a stunning 30° Celsius. These storms tend to occur when Mars is closest to the Sun, and are the result of temperatures rising and triggering changes in the air and soil. As the soil dries, it becomes more easily picked up by air currents, which are caused by pressure changes due to increased heat. The dust storms cause temperatures to rise even further, leading to Mars’ experiencing its own greenhouse effect. Given the differences in seasons and day length, one is left to wonder if a standard Martian calendar could ever be developed. In truth, it could, but it would be a bit of a challenge. For one, a Martian calendar would have to account for Mars’ peculiar astronomical cycles, and our own non-astronomical cycles like the 7-day week work with them. Another consideration in designing a calendar is accounting for the fractional number of days in a year. Earth’s year is 365.24219 days long, and so calendar years contain either 365 or 366 days accordingly. Such a formula would need to be developed to account for the 668.5921-sol Martian year. All of this will certainly become an issue as human beings become more and more committed to exploring (and perhaps colonizing) the Red Planet. We have written many interesting articles about Mars here at Universe Today. Here’s How Long is a Year on the Other Planets?, Which Planet has the Longest Day?, How Long is a Year on Mercury, How Long is a Year on Earth?, How Long is a Year on Venus?, How Long is a Year on Jupiter?, How Long is a Year on Saturn?, How Long is a Year on Uranus?, How Long is a Year on Neptune?, How Long is a Year on Pluto? For more information, check out NASA’s Solar System Exploration page on Mars. Astronomy Cast also has several interesting episodes on the subject. Like Episode 52: Mars, and Episode 91: The Search for Water on Mars. On January 20th, 2016, researchers Konstantin Batygin and Michael E. Brown of Caltech announced that they had found evidence that hinted at the existence of a massive planet at the edge of the Solar System. 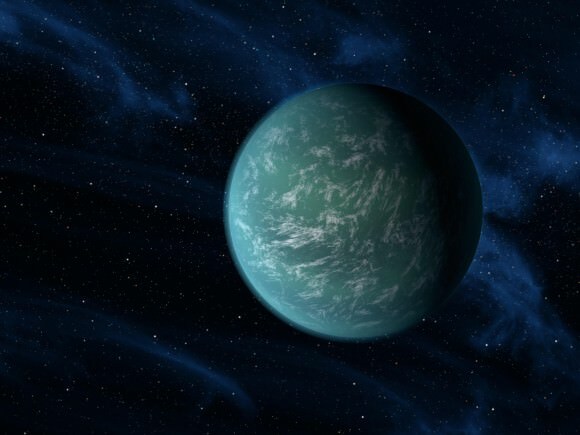 Based on mathematical modeling and computer simulations, they predicted that this planet would be a super-Earth, two to four times Earth’s size and 10 times as massive. They also estimated that, given its distance and highly elliptical orbit, it would take 10,000 – 20,000 years to orbit the Sun. Since that time, many researchers have responded with their own studies about the possible existence of this mysterious “Planet 9”. One of the latest comes from the University of Arizona, where a research team from the Lunar and Planetary Laboratory have indicated that the extreme eccentricity of distant Kuiper Belt Objects (KBOs) might indicate that they crossed paths with a massive planet in the past. For some time now, it has been understood that there are a few known KBOs who’s dynamics are different than those of other belt objects. Whereas most are significantly controlled by the gravity of the gas giants planets in their current orbits (particularly Neptune), certain members of the scattered disk population of the Kuiper Belt have unusually closely-spaced orbits. When Batygin and Brown first announced their findings back in January, they indicated that these objects instead appeared to be highly clustered with respect to their perihelion positions and orbital planes. What’s more, their calculation showed that the odds of this being a chance occurrence were extremely low (they calculated a probability of 0.007%). Instead, they theorized that it was a distant eccentric planet that was responsible for maintaining the orbits of these KBOs. In order to do this, the planet in question would have to be over ten times as massive as Earth, and have an orbit that lay roughly on the same plane (but with a perihelion oriented 180° away from those of the KBOs). Such a planet not only offered an explanation for the presence of high-perihelion Sedna-like objects – i.e. planetoids that have extremely eccentric orbits around the Sun. It would also help to explain where distant and highly inclined objects in the outer Solar System come from, since their origins have been unclear up until this point. In a paper titled “Coralling a distant planet with extreme resonant Kuiper belt objects“, the University of Arizona research team – which included Professor Renu Malhotra, Dr. Kathryn Volk, and Xianyu Wang – looked at things from another angle. If in fact Planet 9 were crossing paths with certain high-eccentricity KBOs, they reasoned, it was a good bet that its orbit was in resonance with these objects. To break it down, small bodies are ejected from the Solar System all the time due to encounters with larger objects that perturb their orbits. In order to avoid being ejected, smaller bodies need to be protected by orbital resonances. While the smaller and larger objects may pass within each others’ orbital path, they are never close enough that they would able to exert a significant influence on each other. This is how Pluto has remained a part of the Solar System, despite having an eccentric orbit that periodically cross Neptune’s path. 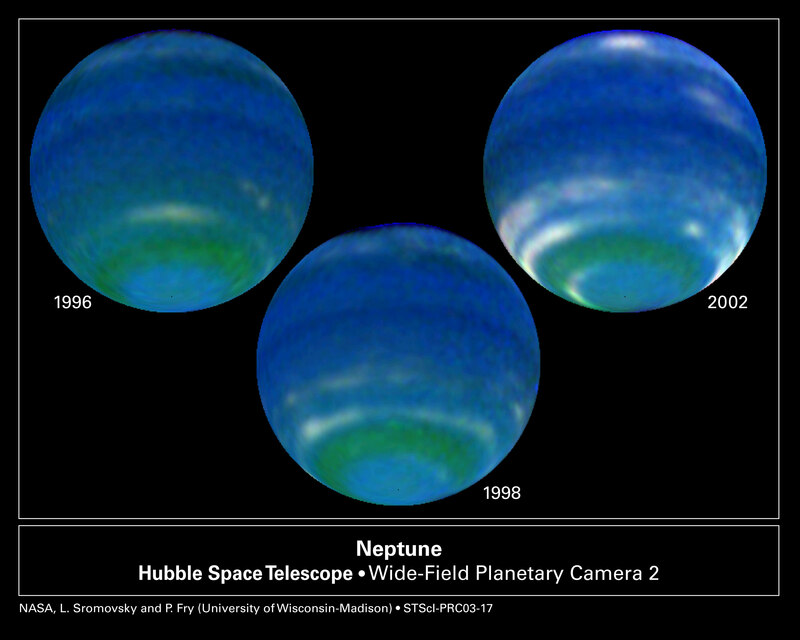 Though Neptune and Pluto cross each others orbit, they are never close enough to each other that Neptune’s influence would force Pluto out of our Solar System. Using this same reasoning, they hypothesized that the KBOs examined by Batygin and Brown might be in an orbital resonance with the Planet 9. After examining the orbital periods of these six KBOs – Sedna, 2010 GB174, 2004 VN112, 2012 VP113, and 2013 GP136 – they concluded that a hypothetical planet with an orbital period of about 17,117 years (or a semimajor axis of about 665 AU), would have the necessary period ratios with these four objects. This would fall within the parameters estimated by Batygin and Brown for the planet’s orbital period (10,000 – 20,000 years). Their analysis also offered suggestions as to what kind of resonance the planet has with the KBOs in question. Whereas Sedna’s orbital period would have a 3:2 resonance with the planet, 2010 GB174 would be in a 5:2 resonance, 2994 VN112 in a 3:1, 2004 VP113 in 4:1, and 2013 GP136 in 9:1. These sort of resonances are simply not likely without the presence of a larger planet. But what is perhaps most exciting is that their findings could help to narrow the range of Planet 9’s possible location. Since each orbital resonance provides a geometric relationship between the bodies involved, the resonant configurations of these KBOs can help point astronomers to the right spot in our Solar System to find it. Ultimately, astronomers and the rest of us will simply have to wait on further observations and calculations. But in the meantime, I think we can all agree that the possibility of a 9th Planet is certainly an intriguing one! For those who grew up thinking that the Solar System had nine planets, these past few years (where Pluto was demoted and that number fell to eight) have been hard to swallow. But with the possible confirmation of this Super-Earth at the outer edge of the Solar System, that number could be pushed back up to nine soon enough!